If you are tight on room especially in your closet, then using the space under the bed is the perfect idea to keep things organized. 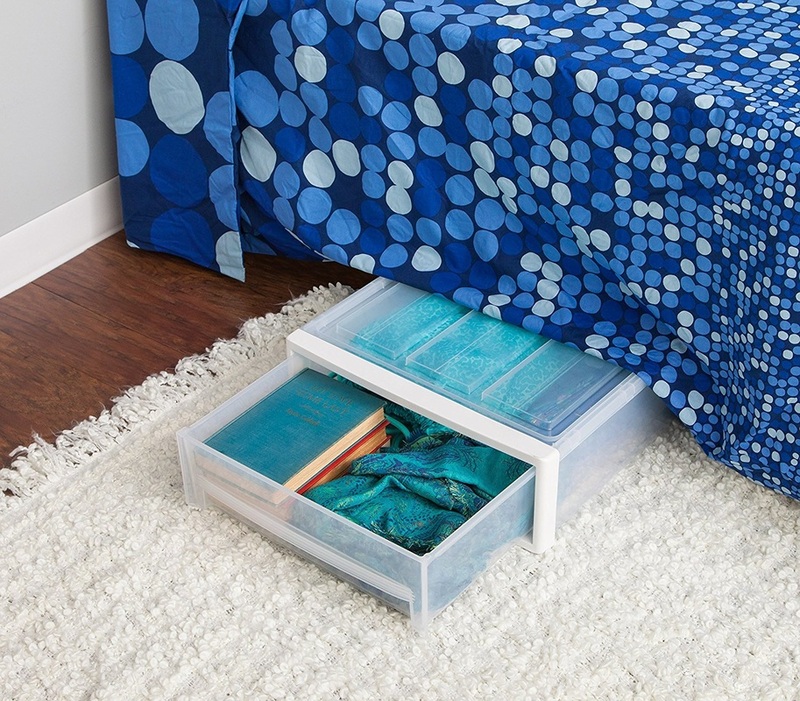 To keep your closet organized, you could take seasonal items that are not in use and store them in these specific affordable storage drawers that easily slide under your bed. This way they are tucked away until next season leaving your closet with more room. Measure the space under your bed, this will help to decide which under the bed storage system works best for you. If you have the room, there are drawers with tiny wheels to make it easier but if height is an issue there are shorter softer wall drawers that work as well. The bed takes up a huge area in a room, so consider utilizing this space in an organized fashion. There are many to choose from. 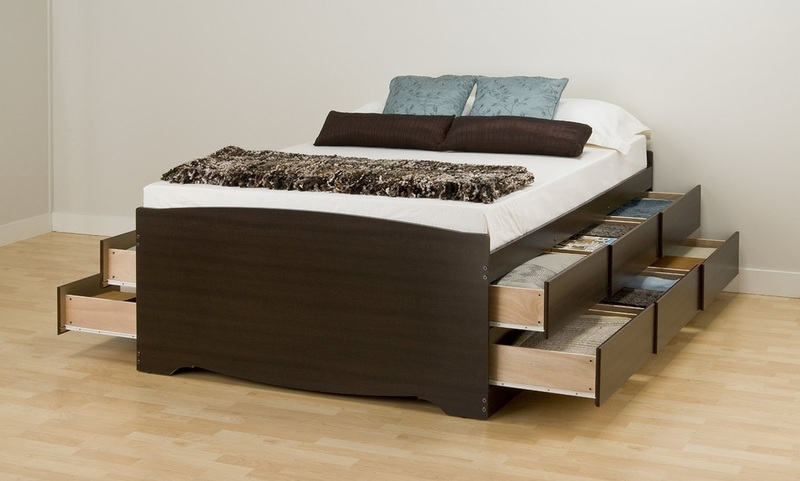 You can get invest in wood drawers for those heavier items if you have the room under your bed. If not, there are lower to the floor styles such as the plastic drawer that keeps your things covered and easy to grab, or the above soft sided bins with dividers for those smaller items. I found seasonal was the best use of the space under the bed. Things you don't need everyday, but if you are short on closet space you could keep your everyday things in here too. 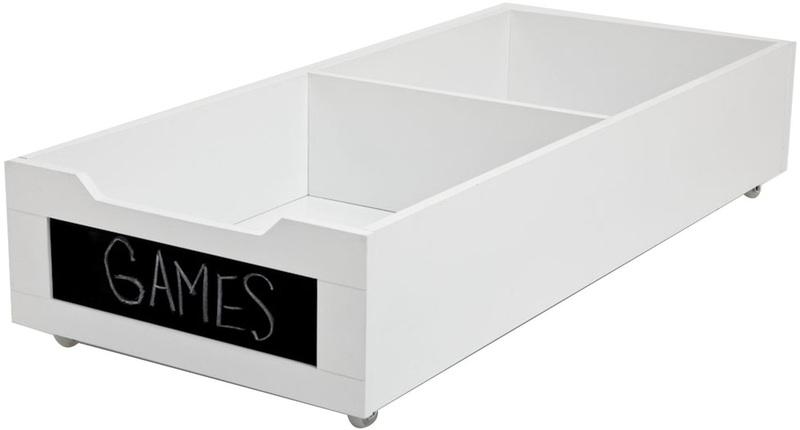 This drawer is on wheels and is a sturdy divided wooden drawer, with a chalkboard end for easy labeling. You can utilize the space under your bed for everyday items or for long term storage. 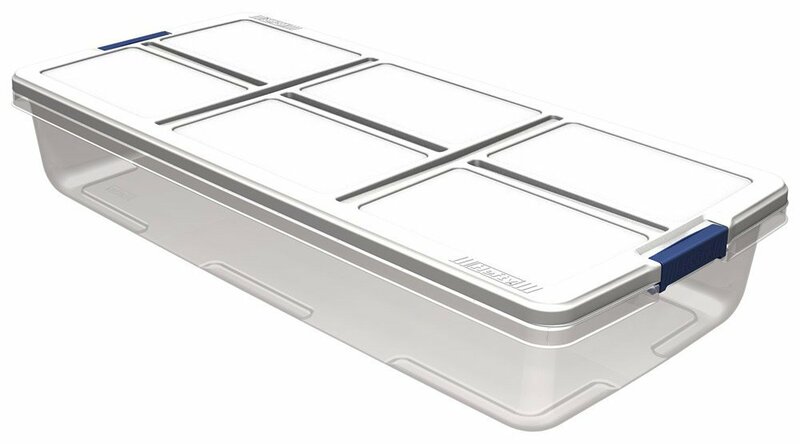 You could keep longer storage under one side or near the top if you have a single bed, and your everyday items easier to get. This can become your dresser or your closet if you are short on space with some organization! 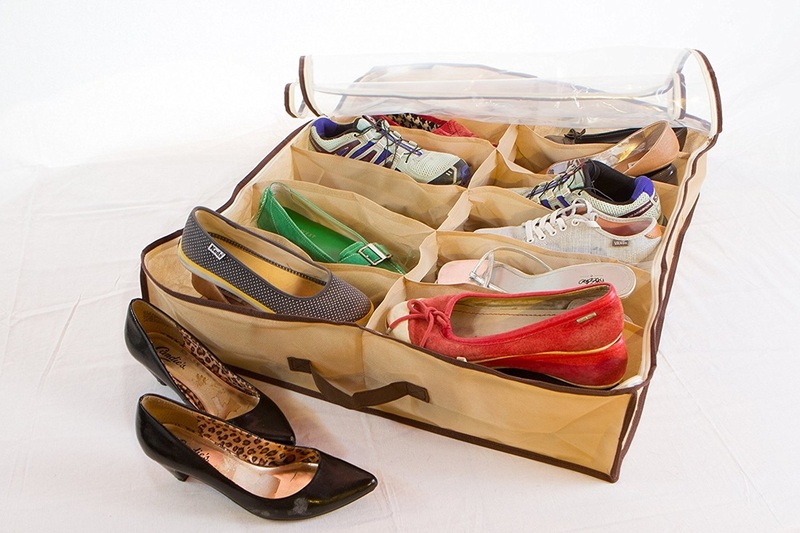 Shoes can quickly take over a space, the floors and the closets, especially if you own lots of them. 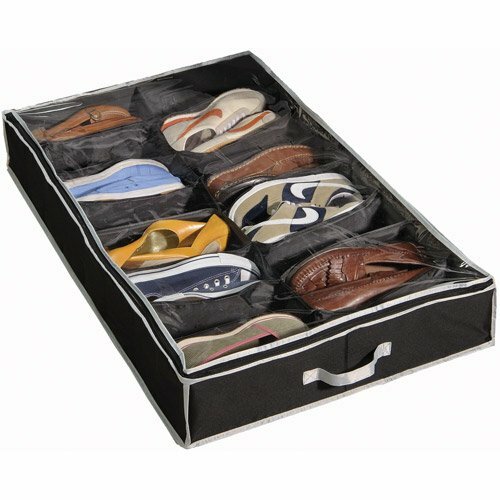 But you can utilize that space under your bed with specific shoe storage drawers that are easy to get at. Would be great for seasonal shoes and ones you don't wear all the time. This way there is no frantic searching for the other shoe! What a wonderful place to sort and store your shoes. This would be the perfect time to get them all out, clean them and organize them. Just imagine how much closet space and floor space you will have left after organizing the ones you have. Under Bed Storage drawers are an affordable option if you have room under your bed, but another option if you want to invest in something more permanent, is a Captain style bed that has drawers built in. This particular ones has 2 rows on each side. You could get rid of your dresser. 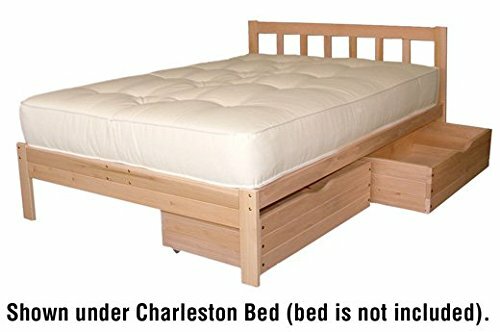 If you are short on room, then using the bed as storage is another option that works. You can go to the dollar store and buy some lower height baskets, or invest in a few soft sided drawers, plastic or wood as above pictures or if your pocket book affords, a more permanent solution. If your room is too small for a dresser then this could be the perfect option for you. Organizing a bedroom doesn't have to cost a fortune, you can get creative. The first step is cleaning it out so that you get rid of things you don't need then think of your routines and find storage that works well for you. Don't forget about the space under the bed it can store many things out of sight.